Sharjah-based Air Arabia posted a 17 per cent drop in net profits for the first nine months of 2018, despite an increase in turnover to Dh3 billion ($816.6 million). The airline's net profit for the period January-September stood at Dh530 million ($144.2 million) compared to figures recorded for the corresponding period in 2017. 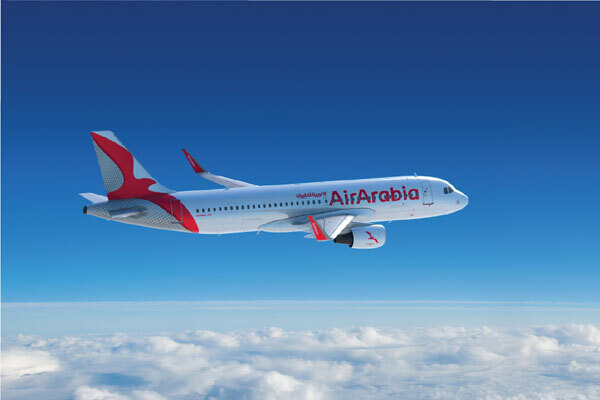 In a statement released by the airline, Air Arabia said its "robust" financial performance was recorded despite the strong impact of high oil price and currency devaluation on the industry’s bottom line. More than 6.6 million passengers flew with the low-cost pioneer during the nine months of 2018 while the average seat load factor – or passengers carried as a percentage of available seats – for the same period stood at 80 per cent. Sheikh Abdullah Bin Mohamed Al Thani, chairman of Air Arabia, said: “Supported by strong revenue figures and passenger demand; Air Arabia’s net profit for the third quarter and year to date remained strong despite profit margins being impacted by the sharp rise in fuel price and the currency devaluation witnessed in several key travel markets." Revenue for the third quarter stood at Dh1.28 billion ($348.4 million), a 10 per cent increase while net profit for the same period reached Dh300 million, 20 per cent lower than the corresponding 2017 figure. More than 2.4 million passengers were served in the third quarter of 2018, a 5 per cent increase on the corresponding period of 2017, while the average seat load factor stood at 81 per cent. “The global economic outlook remains under renewed pressure and airlines worldwide have been challenged by pressured yield margins and increase in cost structure while political and economic tensions continue to drive currency and oil price volatility. We believe that such impactful challenges are temporary and the long-term outlook for the low-cost travel in the region remains fundamentally strong," Al Thani added.